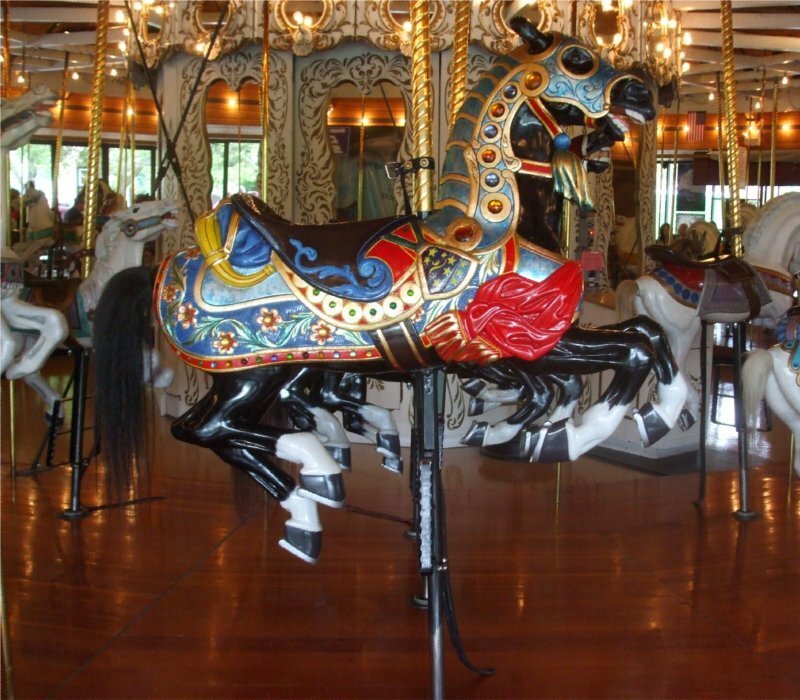 Riverfront Park's Looff Carrousel is one of America's most beautiful and well preserved, hand-carved wooden carousels. It has 54 houses, a giraffe, a tiger and two Chinese dragons, all of which are hand carved. Charles I. D. Looff built the carrousel and had it shipped to Spokane as a wedding gift for his daughter Emma Vogel and her husband Louis Vogel. The pair owned Natatorium Park, which was originally a trolley park and later grew into an amusement park. The carousel was installed in 1909, and was a favorite among the park's many visitors. 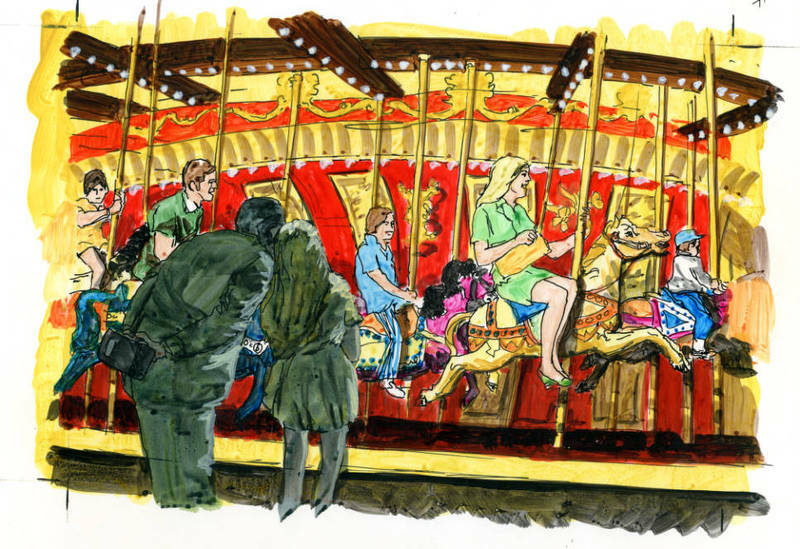 When Natatorium Park closed down in 1968, Expo '74 planners hoped to relocate the carousel for display at the upcoming world's fair. Unfortunately, restoration and moving costs made it impossible to move the carousel for Expo. 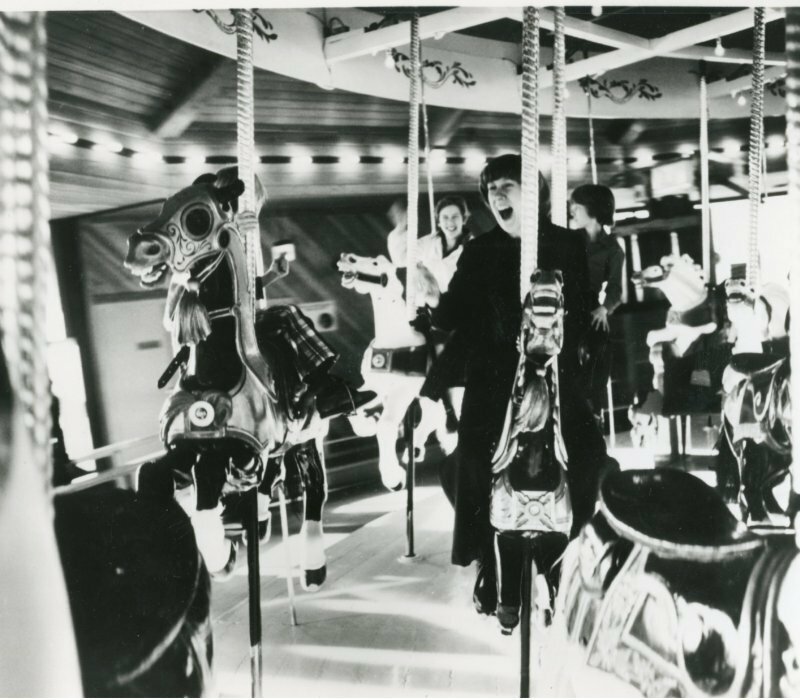 Instead, the carousel moved in 1975 to its current home in the former Expo '74 German Beer Garden. The original organ, a 1900 Ruth & Sohn Band Organ, is still in place, but due to the deterioration of some of its parts, a digital recording is now used. There have been a few changes to the carrousel over the years. In the 1960s, metal stirrups were added to the horses. Before this there was only a small peg for the rider to use and people would often use the legs of the horses to help them climb up. This caused a lot of damage and many of the horses had to have legs replaced. Between 1992 and 1996 all of the figures underwent restoration, without any interruption of service. Now there is a maintenance system in place, where animals are rotated out for upkeep work. Photo records of this process are kept. 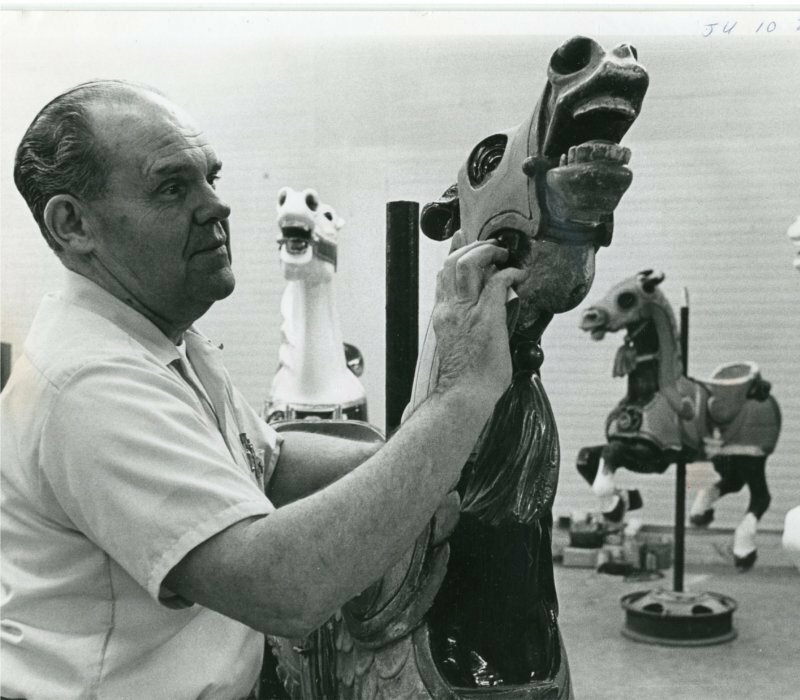 Looff was an accomplished carousel and amusement ride builder. 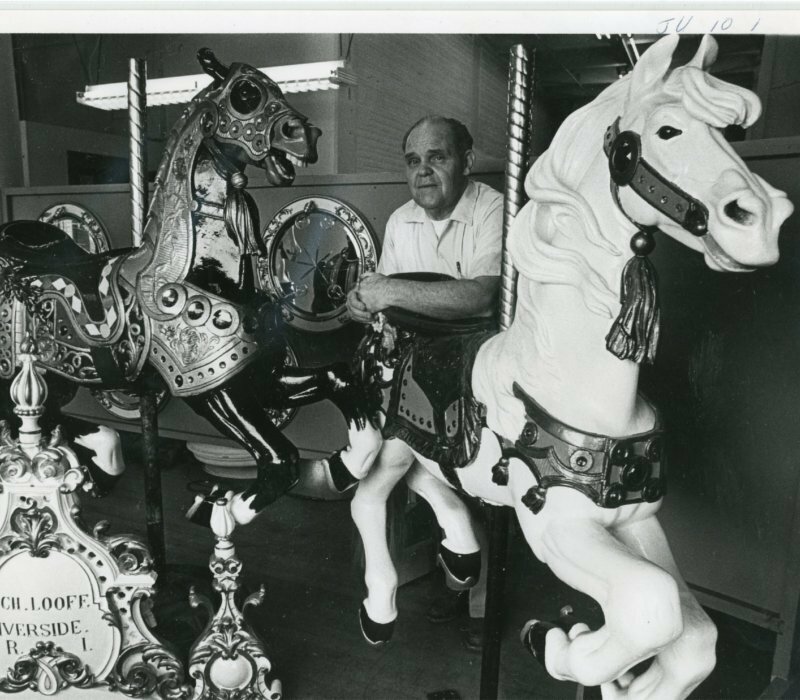 He build the first carousel at Coney Island and in the process developed a new style of carousel construction that came to be know as the Coney Island style. In all he constructed over 50 carousels. He also built several roller coasters and twelve amusement parks as well as California's famous Santa Monica Pier. Riders enjoying the carrousel: Courtesy of Spokane Public Library's Northwest Room. Inspecting the horses : Courtesy of Spokane Public Library, Northwest Room. Inspecting a horse : Courtesy of Spokane Public Library, Northwest Room. Carrousel horse: Courtesy of page creator, taken â€ŽMay â€Ž26, â€Ž2012. 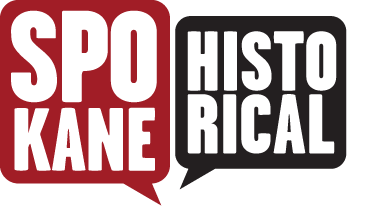 An interview I did with Paul Quam a member of the Spokane Antique Carrousel Society. 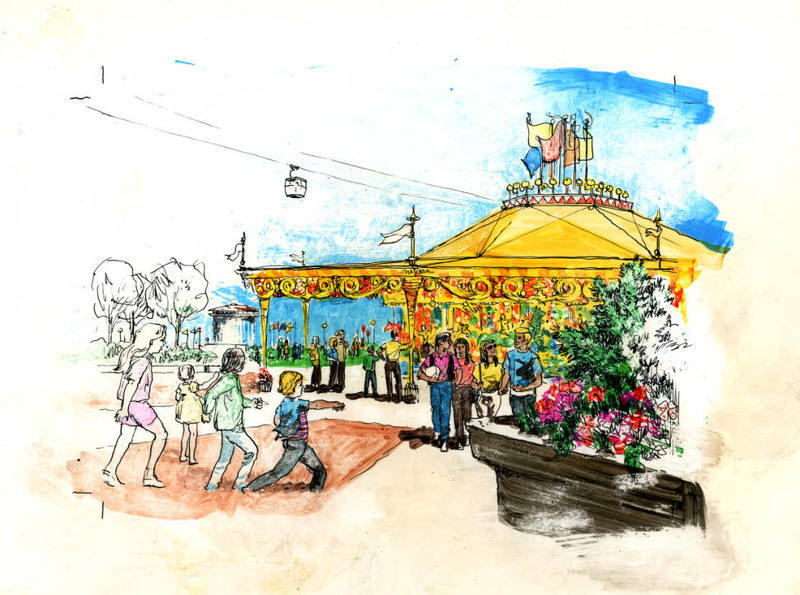 Jesse Roberts , “Looff Carrousel,” Spokane Historical, accessed April 24, 2019, https://spokanehistorical.org/items/show/183.